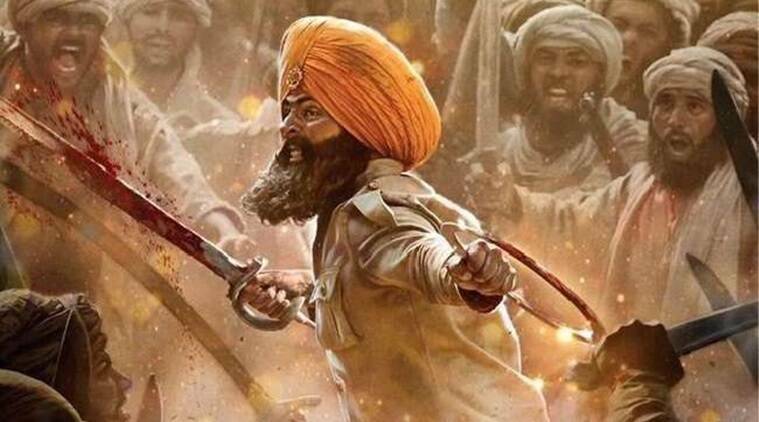 Kesari movie review: Despite its predictable arcs, the outcome which we already know, and its length, we stay with the film. It is also a full-blown melodrama, the kind of film in which soldiers staring down maut, because thats what fearless Sikhs do, burst into song. You know these beats, because you have seen them in practically every Bollywood film on jung and azaadi: the rough-and-tumble camaraderie between the men; a rebel who will come to heel; a youngster, who has never made a kill, coming into his own when the time is right, and scant female presence (the chirpy Chopra as Akshays love interest is a walk-on part) just enough to show the soft side of the steely soldier. There are also some threads which seem to have been included to kow tow to the current majoritarian segment: a mulla who spouts venom against women, and who talks of jehad and kaafirs who need to be decimated. A token Afghan who is not so much of a hardliner is bunged in for balance, but we know exactly who the good guys here are: the 21 Sikh soldiers who are ready to give up their life for their kaum, and not as men of the British army. What works for the film is its unapologetic embrace of loudness and lack of nuance: rousing speeches of patriotism keep breaking into the bloody action on the battlefield. Akshay gets the maximum, naturally; but the other soldiers do too. Some work has gone into outlining the other men, one of whom is clearly lower caste, who gets a teeka of equality, another who hasnt had time for his suhagraat, and yet another who has just become a father. Akshay is the film. And he pulls it off, keeping that Kesari pagdi aloft right till the end, delivering thundering speeches, and keeping his mens morale up. His Ishar Singh is inhabited and convincing, and it helps that his Punjabi accent is completely on point.